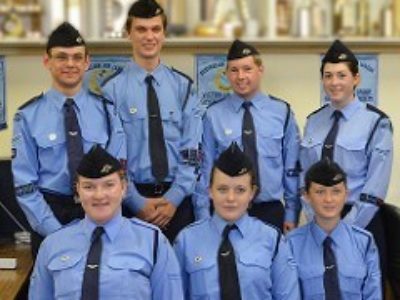 During the weekend of the 16th/1th February, the ‘cream’ of the Australian Air League’s cadets travelled to Victoria for the selection of the Cadet of the Year 2012/2013. After a rigorous selection progress the judges met to make the decision, and much deliberation the winners were announced. The winning cadets were Leading Cadet Georgina Ball representing South Australia Girls and Corporal Alex Brand of Queensland Boys. The League’s thanks go to the Victoria Group and its staff staff who assisted with the operation over the weekend with catering, transport and provision of and ideal location for this most important event in the League’s calendar. Photos of the event can be viewed online here, and a press release available here.